For the pokie fans who want to experience a warm summers night on a pacific island beach, online pokies can often provide the answer. With island themed games like Bikini Island and Aloha! finding many fans, Scientific Games has decided to throw their hat in the ring this week as they release Hula Hula Nights. Unfortunately this pokie seems like a bit of a miss for Scientific Games. Rather than going for a bright colour palette to evoke the beautiful islands where Hula dancers come from, we instead get garish dark blues and purple hues making up the majority of the colour scheme. The reel symbols are mostly plain looking playing card symbols. Three coloured flowers and a single Hula dancer whose portrait is used twice to make up the two high value symbols make up the picture symbols. There is a clear lack of effort here with regards to this pokies’ art style. Looks aren’t everything but here the game is actually hurt by the subpar graphics. The reel layout consists of a 5×3 grid and 20 paylines. While the RTP and maximum wager values are both very high, it still doesn’t make the game’s graphics any more appealing. Hula Hula Nights is available for desktop and mobile devices. The green wave feature is a randomly triggered event that will see a green wave wash away a random amount of reels, replacing them with reels filled with matched symbols. The free spins game is activated with the Pina Colada scatter icons and players can win up to 25 free spins. 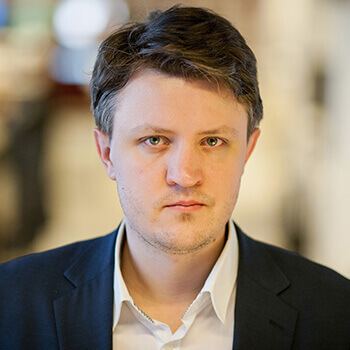 During the free spins round there will be a new green icon that appears on the reels which can award cash prizes instantly or it can award more free spins. This icon is called the collect icon and it collects the cash amounts displayed on the reels that glow green before the icon lands. 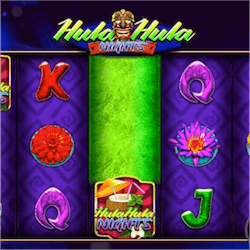 The only other notable feature in Hula Hula Nights is the wager system. You can make bigger and bigger wagers to activate special items. This features starts at wagers of 30. When you play this level of bet the scatter symbol becomes twice as high as normal covering more area and the wild symbol will now substitute for the scatter symbol as well as the normal standard symbols. With a wager of 50 or higher you get all the features listed as well as the special wild icon which now will substitute for the green collect icon during the free spins as well.